SuperPhillip Central: Another New Low for Games "Journalism"
I wasn't going to give another writer the time of day, but articles like the one I am about to bring up just drive home the realization that a significant portion of gaming journalism is laughable. Now, to preface this, I cannot pretend that all games journalism is bad or that I am the perfect writer. I am most certainly not and have committed missteps before, but when such an egregious example of poor journalism is written, I must act. It's not the fact that Nintendo was mentioned, it could have been any company, but it's the mention of Michael Pachter and a cringe-worthy article made by Jim Sterling in his defense and more importantly how he defended him that brought me to write this piece. If there is anything I have learned from following games and the industry much more closely over the years, it is that there is no low games journalism won't sink to. The latest man to sink like a battleship is Jim Sterling (well, again), though that should be expected with his history. I don’t think Nintendo fans are so stupid they would buy a piece of cardboard. A box on the other hand, that says Nintendo on it, they probably would. Do you remember when you were a kid and you get gifts, and when you’re really little you like the box better than the gift? That’s how I think of Nintendo fanboys. Now, besides me having a problem with a middle-aged man using the word "fanboy" (it's a stupid word that sounds like a playground insult), we have Michael Pachter once again laying into something Nintendo-related. Now, Pachter says he was just joking, but his interviewer's reaction was a strong "wow." If it were a joke, why would such a reaction be made? Considering Mr. Pachter's years of being wrong about Nintendo's future on a consistent basis, him being touchy on everything regarding the company is something that could easily be argued. And knowing how Michael Pachter loves to target Nintendo knowing he'll get a surefire reaction from its fans, we have a depressing situation. Michael Pachter, for those unfamiliar with the man. But apparently some of the media like depressing situations and also knowing they will get a surefire reaction from fans, but Jim Sterling gets my award for lowest low by the media in a long time. Sterling actually wrote an article making fun of Nintendo fans who were upset at the comment Pachter made. Nothing better than baiting people to drive up clicks on your site, huh? This is what he wrote. EDIT: Here is the link if you wish to see this short but embarrassing article for yourself. Industry analyst Michael "Elder Foot" Pachter recently joked that Nintendo fans will buy anything related to Nintendo. Ironically, Nintendo fans totally bought it, and are raging hard at the silver-haired love machine. "I don't think Nintendo fans are so stupid they would buy a piece of cardboard," he suggested on Bonus Round. "A box on the other hand, that says Nintendo on it, they probably would. Remember when you were a kid and you get gifts, and when you're really little you like the box better than the gift? That's how I think of Nintendo fanboys." An eight-page thread on GameFAQS, and a pissed off post on GoNintendo are just two places where the fury was felt. Interestingly, there were very few attempts to refute what Pachter said, with the fans instead happy to just insult Pachter or imply that he has a vendetta against Nintendo. Ultimately though, I'm not sure why people are picking on The Pach. Nintendo echoes these sentiments all the time with everything it does. 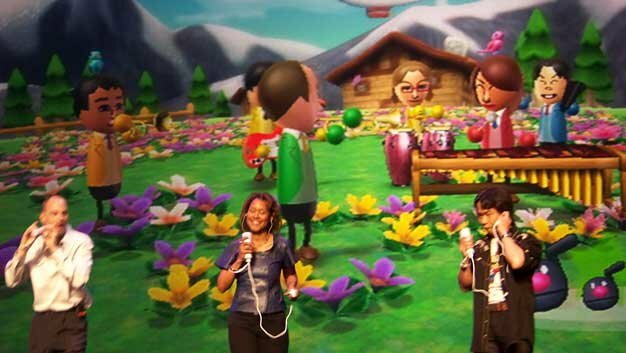 Surely the entire Wii Music demonstration from 2008 was one giant version of what Pachter said, so really we should be mad at the company itself! Are we at the point where what is said on message boards qualifies as news and we make some agenda-filled "news story" out of it, making fun of a fan base with a phrase like "raging hard" and other low blows like you're some NeoGAF troll? Are we really tolerating such behavior from the media? That is absolutely wrong. That is not journalism. That is sheer baiting and acting out to elicit a reaction not only from Nintendo zealots but console warriors who will agree with you regardless of whether or not you are right as console wars are sadly still what makes this industry tick. Of course people who are sick of Pachter bashing Nintendo would act out (I hold no loyalty to Nintendo yet I'm still sick of misinformation, ignorance, and flawed thinking being put on a pedestal like Michael Pachter's words are -- they aren't gospel, people). And after refuting his words for so long yet the media continues treating the man like a messiah, people will stop refuting points as they are ignored anyway. And those two examples (a topic from GameFAQs? Seriously? 1) GameFAQs is a gaming message board with more zealots and troll accounts than the population of Costa Rica, and 2) Does Jim Sterling frequent gaming message boards in his spare time for ammo?) show exactly just that. 2) And what about this past E3? I recall even the most ardent Nintendo loyalists being disappointed by what was shown. Many even stated that weren't sold by the Wii U yet. Do I need to repeat that, or will it be ignored because it once again doesn't fit your and Pachter's agenda? When not even Nintendo loyalists defend the poor showing by their favorite publisher at E3, there is a problem. 3) I'm looking at the New Super Mario Bros. 2 situation and seeing how fans are calling it uninspired. They are arguing that Nintendo is in desperation mode, creatively bankrupt, and are more interested in New Super Mario Bros. U. So again, if Nintendo fans bought any box that said Nintendo on it, why aren't they interested in NSMB 2 and are chastising it like you are Nintendo fans? Regardless, between "Elder Foot," "silver-haired love machine" and "The Pach," something tells me that Jim Sterling has a dog in this fight, as he vehemently protects what could be perceived as his bud Pachter and makes himself look completely unprofessional in the process by what ends up as essentially trolling a fan base with an incendiary article. It reads like a post on NeoGAF or GameFAQs with the intent to insight a negative response and eliminate any intelligent debate, but since Sterling's article was just to create even more console wars. Congrats, Sterling. 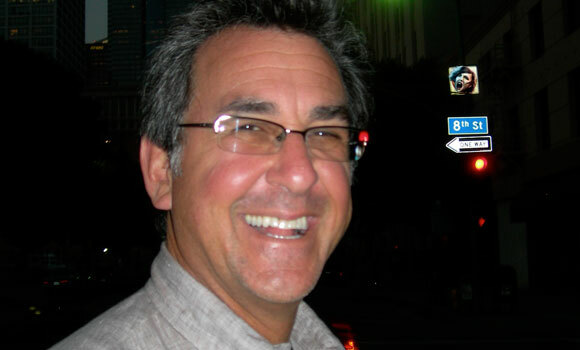 You and Pachter make a perfect pair, two peas in a pod. Both of you say things to warrant a reaction, and judging by this article and many others like it, you have succeeded. Too bad you brought down your reputation in the process, though to be fair, yours and Pachter's were dubious to begin with. Articles like Jim Sterling's do nothing but reinforce the idea that console wars are a major part of the gaming industry, and that gaming sites get the most hits off console war-laden articles. I find the negative discourse and fanatical siding with video game companies and consoles to be similar to people backing political parties. At least with politics people are defending their ideals and beliefs. With console wars, gamers are just acting out and defending hunks of plastic and developers that without a doubt do not care about them no matter what. You might ask, "well, didn't you just defend Nintendo, a company you said without a doubt does not care about you?" Except that sometimes you have to side with the lesser of two evils (and Jim Sterling and to a lesser extent Michael Pachter come off as the antagonists in this whole affair) to prove a point. As long as we have people in the media like Jim Sterling who write articles that a YouTube commenter or message board user would scribe, this industry is never going to be taken seriously any time soon... And that really pisses me off.